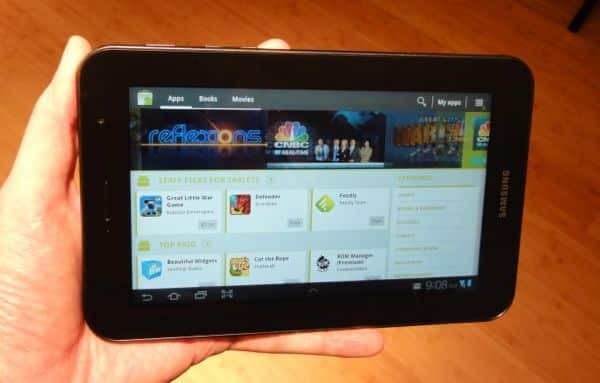 So, you’re finally ready to take the leap and buy a tablet, but what kind of tablet? 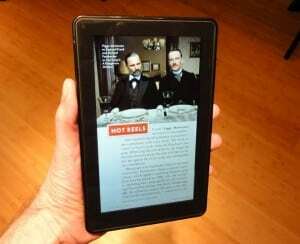 A big one like the iPad, or one of those smaller, mid-size Android tablets? 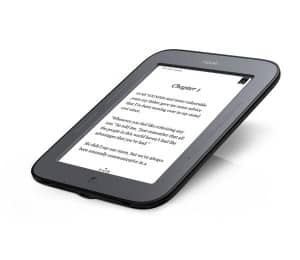 And what about e-readers like the Amazon Kindle and the Barnes & Noble Nook—do they count? 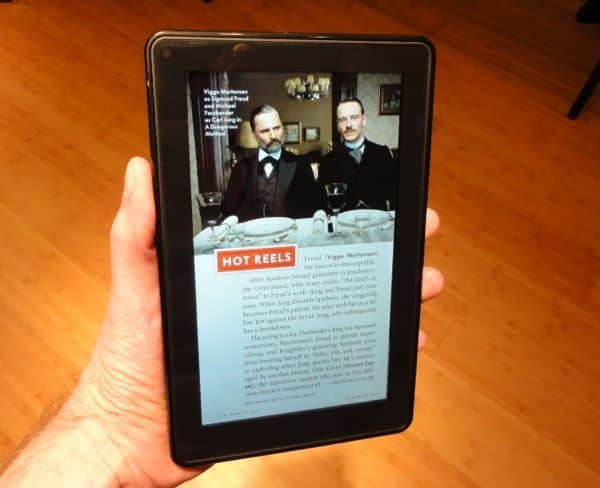 Well, I happen to have four—count ’em—four tablets sitting on my dining room tablet at the moment, and they pretty much run the gamut, ranging from a pricey, full-size iPad 2 to one of the cheapest e-readers you can get. 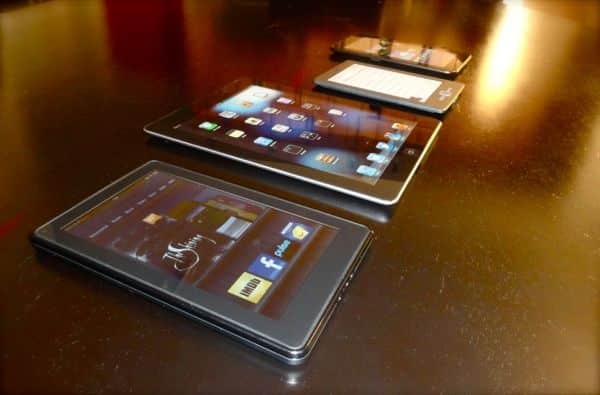 Instead of burying you with details on every last tablet on the market, I’m going to give you a bird’s-eye view of the entire tablet landscape, from the best-selling iPad to the new (and bargain-priced) Kindle Fire and Nook Tablet. The $499 (and up) iPad 2, with its 9.7-inch LCD display. A little of everything: surf the web, checks email, manages calendars and contacts, plays videos and music, edits documents, handles video chat, plays games. 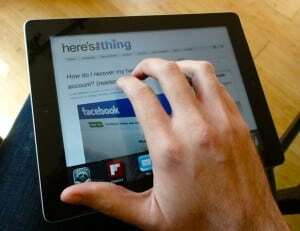 Might even replace your laptop, as long as you don’t mind working with a touchscreen keyboard. 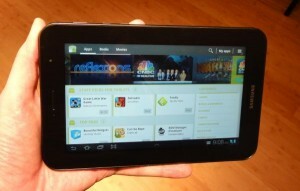 The $400 Samsung Galaxy Tab 7.0 Plus: small, but powerful. Just about anything a full-size tablet can do, including surfing the web, handling calendars and contacts, doing video chat, playing games, you name it. That said, the smaller screen on a mid-size tablet will make laptop-style activities like email and document editing that much more difficult. The $99 Barnes & Noble Nook Simple Touch, complete with a touchscreen. Still not sure what kind of tablet is right for you? Post your questions below!